Michael A. Berry, 51, of Malinta, Ohio, passed away unexpectedly on Saturday, March 16, 2019 at Hemingway, South Carolina. Michael was born on November 27, 1967 in New Jersey to Ronald Shulver and Barbara Ann Berry. 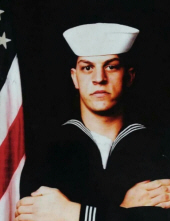 Michael proudly served his country in the United States Navy from 1986 to 1989. He was stationed at USS Carl Vinson (CVN 70) at Alameda, California. After his honorable discharge from the Navy he worked for OTR Trucking. Michael was currently attending Malinta Memorial United Methodist Church. He enjoyed riding motorcycles, hunting and fishing. He liked to collect soccer and golf balls and model cars. His favorite thing to do was spend time with his family and friends. Michael was a true kid at heart. He will be remembered for his loving and goofy personality. Michael is survived by his father, Ronald Shulver, fiancé, Rita Brogan, brother, Alan Shulver and sisters, Karen Wood and Deborah (Richard Connell) Weyant. He is also survived by three sons, a daughter, a grandson and several nieces and nephews. He is preceded in death by his mother, Barbara Ann Berry, step-father, Chuck Berry and grandmother, Lucille Shulver. Visitation for Michael will take place on Saturday, March 23, 2019 at Malinta Memorial United Methodist Church (107 Henry St.) from 10 am to 2 pm. Funeral service will immediately follow at 2 pm at the church. Pastor Diane Pickering will officiate. Once the service is completed military honors will take place at Walker-Hoening Mortuary (333 W. Main St.) of Napoleon. Memorials in Michael's memory may be made to the family (care of Walker-Hoening Mortuary) or to the Wounded Warrior Project. To send flowers or a remembrance gift to the family of Michael A. Berry, please visit our Tribute Store. Note: This time may vary. "Email Address" would like to share the life celebration of Michael A. Berry. Click on the "link" to go to share a favorite memory or leave a condolence message for the family.